It’s like someone hit The Legend of Zelda upside the head with a Bible and a sense of adorable morbidity. I tried to come up with a better way to phrase it — really, I did — but ultimately, my several-years-old impression of Edmund McMillen’s 2011 dungeon crawler seemed to be the most fitting description. Dark, grotesque, and strangely a little cute and sad, The Binding of Isaac takes everything fans loved about the original Zelda game and twists it into a fun, albeit disturbing, romp around the Old Testament. Originally created on Adobe Flash and released on Steam as a relatively unpolished idea, Isaac now boasts a remake with perfect shine and an expansion across consoles and computers alike, with promise of a prequel this year. So, what’s this game all about, then? The Binding of Isaac began as a callback project to McMillen’s first games, with every intention of not being a critical hit. Riding the tails of financial success brought on by Super Meat Boy, McMillen decided to throw caution to the wind and create the game he wanted. Teaming up with fellow designer Florian Himsl, the duo tackled a potentially risky idea: build a game based around the influences of religion in the life of a child — particularly, those in McMillen’s own life. 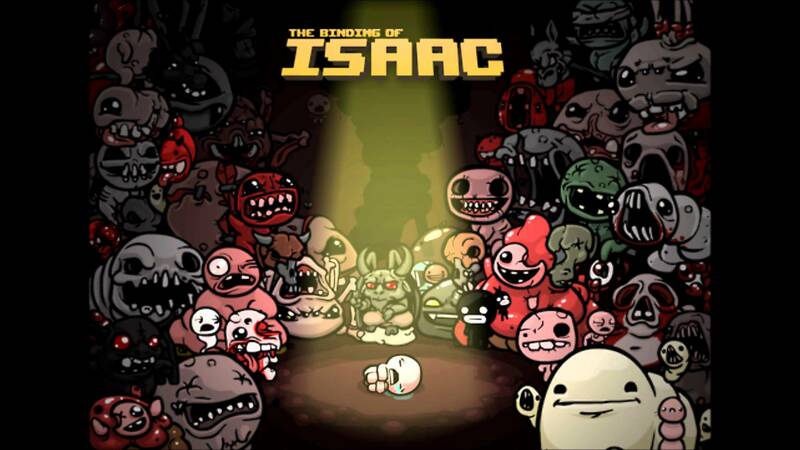 Enter The Binding of Isaac, very loosely based off the biblical tale of Isaac and Abraham. 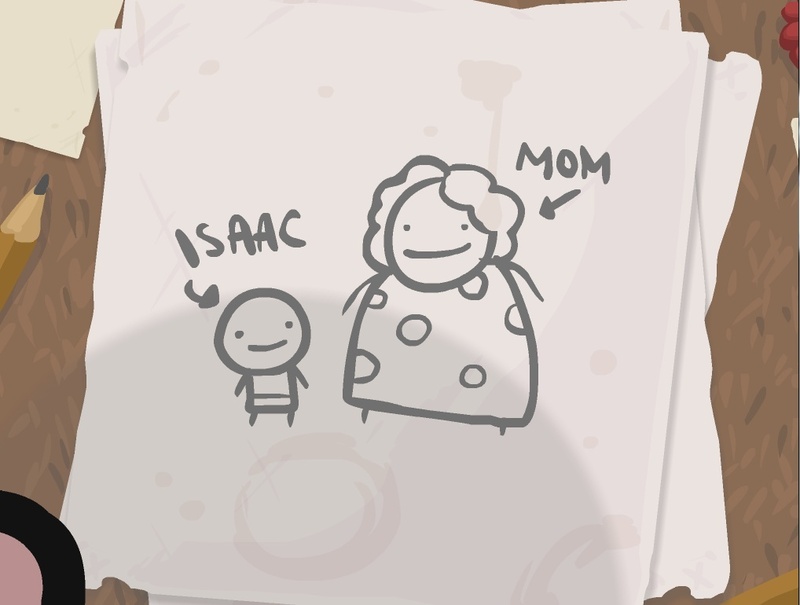 Isaac features a little boy of the same name, along with his doodles, his cat Guppy, and his mother. Everything seems all well and good, until his mother begins to hear voices from above saying her son is evil and corrupt. In an attempt to purify him, she takes his toys, his clothes, and eventually his freedom, locking him in his room. But it’s not enough. The voices demand more. They want his life, a request his mother is happy to oblige. Isaac escapes to his basement through a trap door, and that’s where the game begins. I mean, I am not exactly pious, so while I knew the themes behind the game, I didn’t really much care. I wasn’t there for the story — sorry, McMillen. I compare it a bit to the 1976 movie Carrie: a good overall interpretation of a book, but I’m just watching for that scene during prom, when Sissy Spacek cracks and just completely owns her entire high school. In the case of Isaac, I’m just there to be a rogue in a dungeon of deranged nightmare. Which is strange, because I am not a big fan of dungeon crawlers. Never really have been. I prefer open-world, building, resource management, and all that jazz. So, once again, I am back to my original question. Why did I like it? What about The Binding of Isaac kept me enjoying this game that, under any other circumstances, I would not much care for? And then it hit me. It all spawned from that fateful day in 1993, when I picked up my very first video game ever. A game with linear dungeons, items to level me up, mini-bosses and bosses that would often kick me around a few times before I got the hang of them, and a lost hero in a tunic and cap. Now, to be fair, the game I connected The Binding of Isaac to was Link’s Awakening, when, in fact, McMillen modeled his dungeon crawler off the original Zelda title. But there could be no mistaking in my mind the main reason this game appealed to me. It’s all over, from the top-down perspective and leveling up system, to the health bar — hearts! — to something as seemingly mundane, yet so blatantly calling back to my favorite hero, as Isaac holding important items above his head when he acquires them. It makes me want to hear the tell-tale sound clip of success, the “duh-nuh-nuh-nuuuuuh!” You know the one. Yet, it wasn’t just the similarities to my favorite series that The Binding of Isaac sported that I enjoyed. How played a huge role, too. Namely, the artwork of the game. I don’t think I have ever been able to describe a game as “charming” and “grotesque” in the same sentence and be quite so oddly accurate. Like something out of a nightmare that you don’t feel so bad waking up from. Yeah, that was gross and all, but… I’d have a plushie of it made. Suddenly, Moldorm took on several new forms beyond the pixelated collection of dots that I remember from my childhood. Teeth and wicked eyes and a gaping maw, I actually felt that this could have been the thing that chased Link around in the Tail Cave… and now it’s after Isaac. All together, The Binding of Isaac not only carried the torch of its inspiration with pride, it did so with its own sense of morbid-yet-kinda-cute personality that I don’t think I have ever really seen in any other game. Certainly no other dungeon crawler. It’s the strangest, most charming, most horrific and disgusting Bible-influenced Zelda game I think we will ever see. Kat Vadam is an Original Content Editor for Zelda Dungeon. She likes heavy metal, cats, and dumb jokes. Follow her on Twitter.